Beautiful two story home. Premium homesite. Sweeping conservation and pond views enhance the desirability and beauty of this elegant home that backs to a forest of conservation. Majestic trees frame the backdrop for the glistening waters of the large pond that graces the side & rear of this home. Views make the 26′ trussed lanai an essential. A Grand foyer with tray ceiling and arched entry hall introduces the large study to the right and showcases the designer tile flooring found throughout the ground level. The open floor plan and volume ceilings accentuate the family rm, dining rm, & expansive culinary center. The gourmet kitchen pkg is one of numerous upgrades found throughout the home and features Stainless appliances: Double wall ovens, cooktop, microwave, dishwasher, & french door refrigerator. Note the thick granite counters, center island, & the cafe that provides a perfect informal dining space. First floor owner’s retreat that includes office, sitting area, and two huge walk-in closets, closet organizer included. Double doors to magnificent bath w/dual sink granite counters. Very nice 2nd/3rd bedrooms, adjacent full 2nd bath. Full 3rd bath & lg laundry rm are around the corner from the wood banister railing and stairs introducing the amazing 2nd flr: Gigantic open living area & full 4th bath. Perfect for current owner, although buyer may want to convert the living area to a 19’2×14’3 bonus rm & 14’5×13’4 4th bedroom w/XL walk-in closet that builder shows as an option. Restrictions: See community and county restrictions. Please, send me more information on this property: MLS# T3155228 – $482,000 – 18863 Roseate Dr, Lutz, FL 33558. 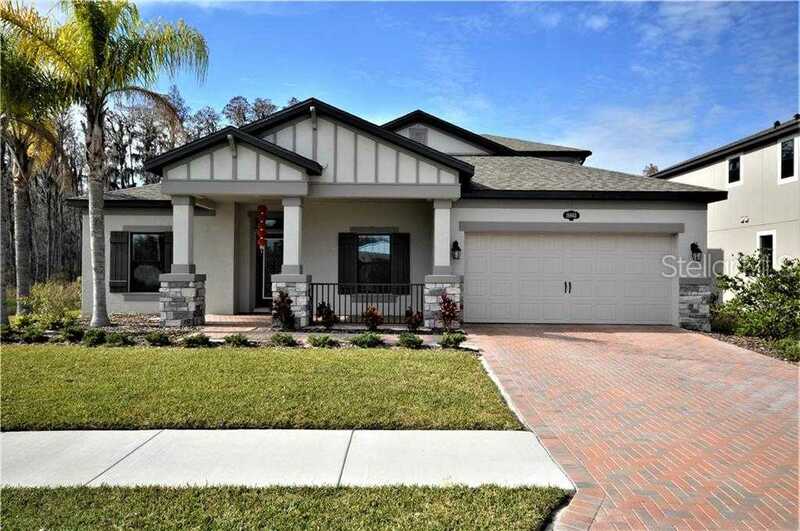 I would like to schedule a showing appointment for this property: MLS# T3155228 – $482,000 – 18863 Roseate Dr, Lutz, FL 33558.